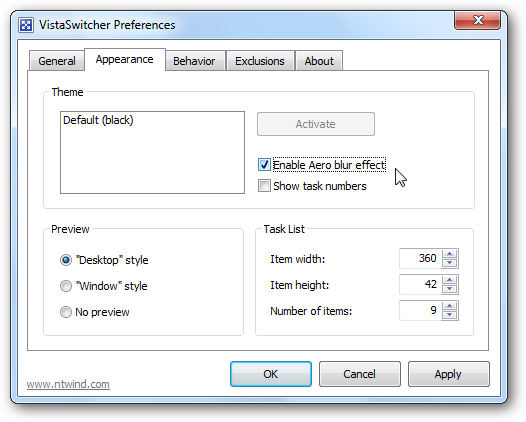 New version of VistaSwitcher has been released today. This release addresses a critical issue that caused crashes when working with some applications and adds support of the Aero blur effect on Windows Vista and Windows 7. The Aero blur effect looks cool and makes it easier to read the text labels. 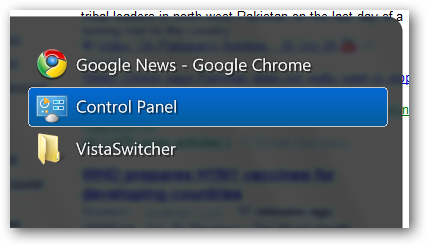 If you perform a fresh install of VistaSwitcher, this option is enabled by default.